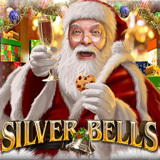 Nuworks Games has just launched a festive new Christmas slot game called Silver Bells and metro-style Lucky Club Casino is one of the first to offer it. Bursting with Christmas cheer, the new game has holly jolly bonus features to add to the festive fun -- and increase your wins! Until New Years Eve, Lucky Club will double your deposits up to $777 and give you 33 free spins on the new game. Wagering requirement: 10X for winnings during free spins otherwise standard 60X. Deposits doubled until December 31, 2017 -- bonus includes 33 free spins on new Silver Bells slot from Nuworks. Traditional symbols of Christmas spin on the reels of this new game -- presents, lights, decorations and Santa himself. Scatters -- ringing Silver Bells -- can trigger the bonus feature. Three or more win up to 75 free spins where prizes are tripled. As an added gift, if there are no Wilds in the triggering combination, the number of free games won is doubled. Silver Bells’ Major ($1000) or Minor ($250) jackpot can be hit at any time. Lucky Club Casino offers unique real money online casino games from Nuworks and welcomes players from around the world.